But how did the whole thing get started? If you’ve got five minutes, enjoy this little history of the holiday stamp. 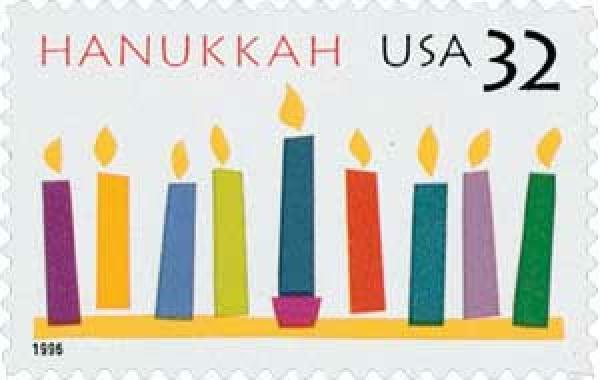 Holiday stamps today range from Hanukkah and Kwanzaa to Eid and Chinese New Year, with a variety of winter and Christmas themes in between. Whether you’re looking to greet parishioners, impress new prospects, or thank long-time donors, each year you’ve got a lot of stamps to choose from to add some spice (or sugar) to your holiday envelopes. Themes and colors range from fun and festive to whimsical to warm and elegant, using special holiday colors and those beautiful details only the tiny art canvas called a stamp can accomplish. 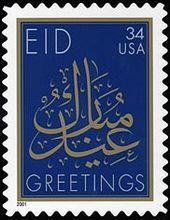 Recent stamps have featured hand-painted dreidels, metallic ink Madonna and child, scenes from Ezra Jack Keats’ Snowy Day, elaborate Arabic script, and winter birds, just to name a few. Yes, we’re geeking out. That’s because we know how important little touches like stamps can be in making the right impression with your direct mail. Designing stamps for the U.S. Postal Service is not an easy business, and only the best designs get picked. Though anyone can submit a stamp design, it undergoes rigorous scrutiny. Most stamp designs come from a team of artists, designers, and photographers who work for the Postal Service. It takes three or more years from design proposal to actual use on envelopes. USPS knows you’re sending very special mail around November and December, which is why only the cream of the crop make the cut for the end of the year. Let’s check out some blasts from the past! 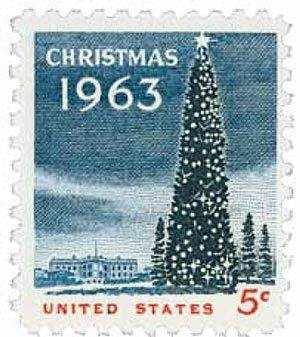 The first holiday stamp was a Christmas stamp released in 1962. It was simple, with a wreath and two candles. (You can see it here.) The stamp was issued in what you might call “limited release”—only in Pittsburgh, Pennsylvania. This came after years of citizens requesting a Christmas stamp. They quickly sold out and had to print one billion to meet demand. See? Even then, people knew a holiday stamp would make a difference to their ROI! This was a very odd year for holiday stamps. Eager to trot out something new, reflecting an American holiday experience, the new stamp depicted the White House with lights on inside where the First Family would be (see here). But on November 23, President John F. Kennedy was killed, and the cheerful holiday stamps simply became a spooky and sad reminder of the tragedy. Stamps moved away from original religious and political designs to classical art. 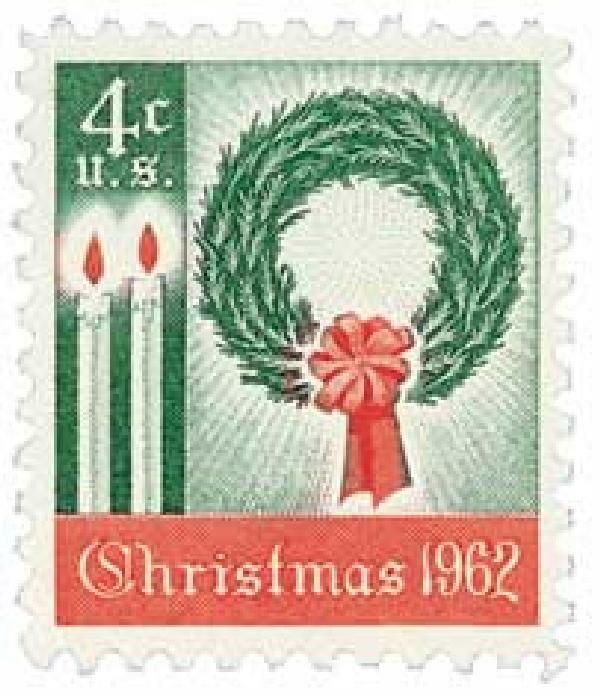 A Flemish Madonna and Child was used first in 1964, and some similar classical pieces have been used as at least one stamp option ever since, to both celebrate artistic cultural heritage and allow those who celebrate Christmas to give their mail that particular expression if they wished. Holiday stamps have caused some growing pains for USPS over the years, too. 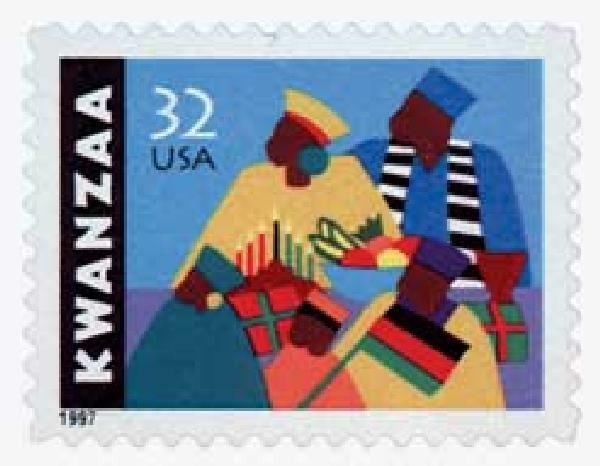 In the beginning, some people were concerned that holiday stamps were a violation of the First Amendment since they depicted a religious festival and didn’t honor the separation of church and state. Other problems have arisen, too, surrounding the depiction of beloved traditional and religious figures, such as angels. The way we’ve resolved this over time is not by removing religious symbolism altogether, but by celebrating in art a number of American religious festivals, as well as non-religious symbols of the season. What does all of this add up to? We live in a diverse nation full of passionate people with deeply-held beliefs. We’re also people who celebrate the holidays with gumption. Helping everybody feel honored at holiday time can be tricky for designers and marketers because what you put your (pun alert!) “stamp” of approval on will always have import. How do stamp designers reflect such a huge nation on such a tiny piece of sticky paper? That’s part of the fun. We hope you’ve enjoyed this little foray into the history of holiday stamps—and a little national history, too. As you put your own details together for the season, don’t forget how much the little touches add to your audience’s experience and make them feel special. When it comes to holiday mail, people care about the details! Picked out your stamps? Contact us at Letter Jacket Envelopes to gussy up your envelopes with full-color printing, branding, and customization, all to fit your budget!